Getting out and experiencing art in person is the best way to really make it a part of you, and to get your kids really interacting with it and asking bigger questions about how it all fits in with the rest of what they know! Today I’m really excited to share this post from fellow homeschooling mom Mary, who is sharing about her family’s visit to the Jepson Center. I’ve never visited Georgia, and now I want to go! 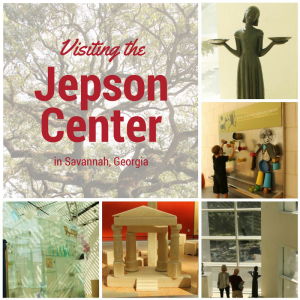 The Jepson Center is located in beautiful historic downtown Savannah, Georgia. It features contemporary arts and rotating exhibits. It is within walking distance of so many great places and beautiful sights. If you are planning a trip there with your family, you will already be getting a good dose of history and beauty, but if you choose to make it a trip that is part of your homeschooling, then don’t miss out on the Jepson. A few tips on the area right near there, just to help you out in case you’ve never been, is that much of what you’d go downtown to see is all within a few blocks, for the most part. There are a few parking garages, too, that make it easy to get in and out, unless you luck out and find a spot on the street. There is a garage not too far from the museum. 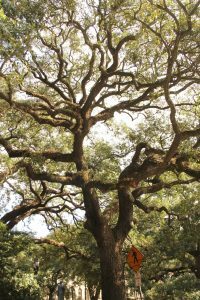 Now, there are several areas in downtown they call “squares” that all have historical meaning and normally have benches and gorgeous large oak trees, and every one of them is different. The Jepson is near Telfair square and is one building in the Telfair museum group. It is the more modern of the buildings and the main one that houses the new exhibits that change periodically and has the kids’ area in it, which is why for a homeschool visit, it is the one I suggest. It is also free for the kids, so that’s a plus! You can read all about the museum and history, as well as see the exhibits and hours here. 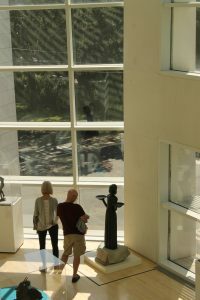 The museum has some great sculptures, of both modern and classic style, and a few balcony and outdoor areas that there is some artwork on as well. 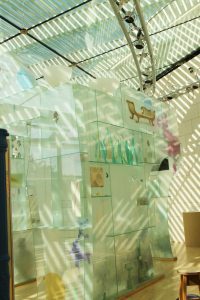 The entry alone is a breathtaking space, with hugely tall ceilings, and some of the walls made of glass, so as you enter the museum you and your children will already feel excited to tour it. They have some neat and colorful seating and a really great gift shop in that area. The shop has a lot of items that are not just exclusive to the museum, but some collectibles, some art, many books and more. It isn’t your typical, touristy type of shop. They have a changing exhibit area upstairs, and when we visited it was an impressionist feature that had many Monet pieces. We had just studied Monet and his work and so it tied right in with our studies. I would suggest that if you know you are going there ahead of time, see what exhibit they have and use it to your advantage in your studies, so the kids can get a little more out of it. If they have already heard about the artist and learned about his or her life and story, and learned about what type of artwork they did and what was important to them, then they will get much more out of seeing the art in person. There is also a café if your trip happens to fall at lunch or dinner time, but there are also places nearby to eat, within walking distance as well. The kid’s interactive area is very cool. It is also in a large and beautiful room that has high ceilings and lovely light. They have a literal “glass house” for them to walk through that an artist designed. The walls are glass and some of them house small pieces of glass, and some house actual pieces of art, like vases. It is very cool. 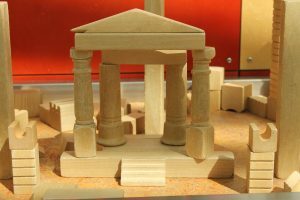 They have an area about architecture with wooden blocks they can build with, and an area about recycling and upcycling with things for them to play with and learn at the same time. 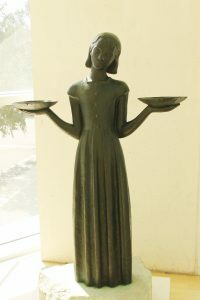 There are areas with interactive sounds and recordings too, and right near this part of the museum is one of the wonderful parts you will enjoy with some of the classic sculptures, including the very famous Bird Girl statue that is so well known from the movie, Midnight in the Garden of Good and Evil. It was originally in the famous cemetery there but now is a permanent piece in the museum. She is really lovely in person and you can get right up to her also. 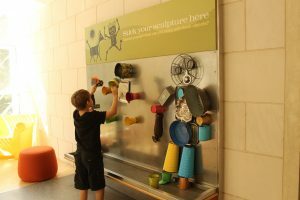 The kids have an area where they learn about sculptures as well and can make their own on a large magnetic wall with various metal items. My son who was 8 at the time really enjoyed that part. Overall the Jepson for us was a really great experience. It was not crowded at all and did not feel like your average museum. It is not overly large, so you will not be dragging your kids through half of it like you can be at some of the other large ones and if you plan the exhibits to your advantage and put the kid’s part after you do some of the things they may not enjoy as much, then they may last a little longer for you, too. Teaching them about art and the history that ties in with it will be something they will really look back on with good memories and will be grateful you spent time on that, and not just the math, science, reading and writing. The cultures are important for them to learn about and it is something that can get lost at times in schools when the focus becomes more on the test scores, so spend the time with them on this while you’ve got it.